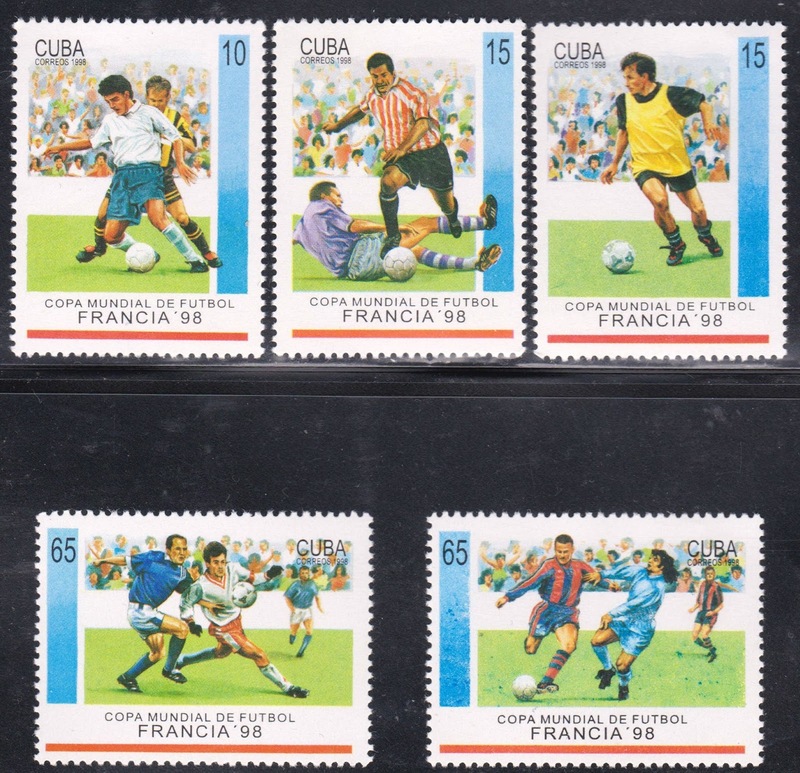 The 1998 World Cup was held in France with an expanded format featuring 32 teams (eight groups of four). It was the 16th FIFA World Cup TM and 174 teams from six confederations participated in the initial qualification rounds. 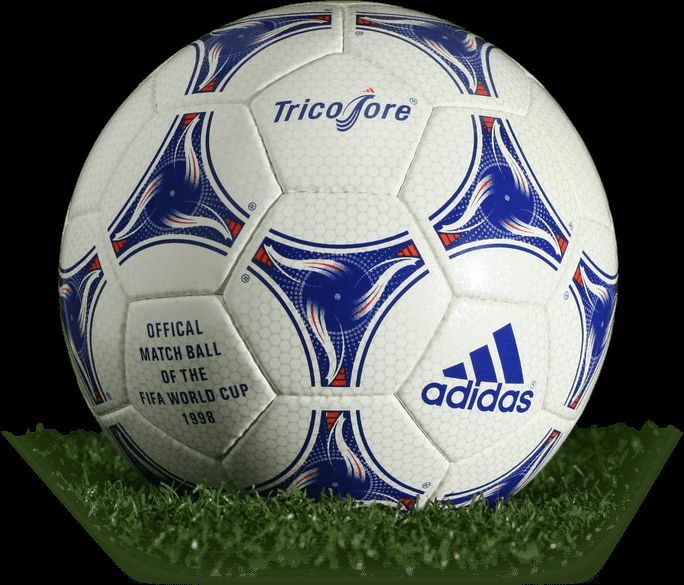 The World Cup matches were broadcast in 200 countries and over 24 million people watched the competition. 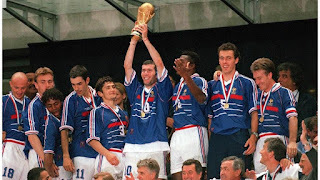 France (host) and Brazil, the defending champions were exempt fourteen European countries qualified. Five places were granted by CONMEBOL and CAF each, the governing bodies of South America and Africa respectively while three spots were contested between 30 teams through CONCACAF. The winner of the Oceanian zone advanced through to an intercontinental play-off against the runner-up of the Asian play-off, determined by the two best second placed teams. Four nations qualified for the World Cup for the first time: Croatia, Jamaica, Japan, and South Africa. The tournament took place in 10 stadiums with a total of 64 games. 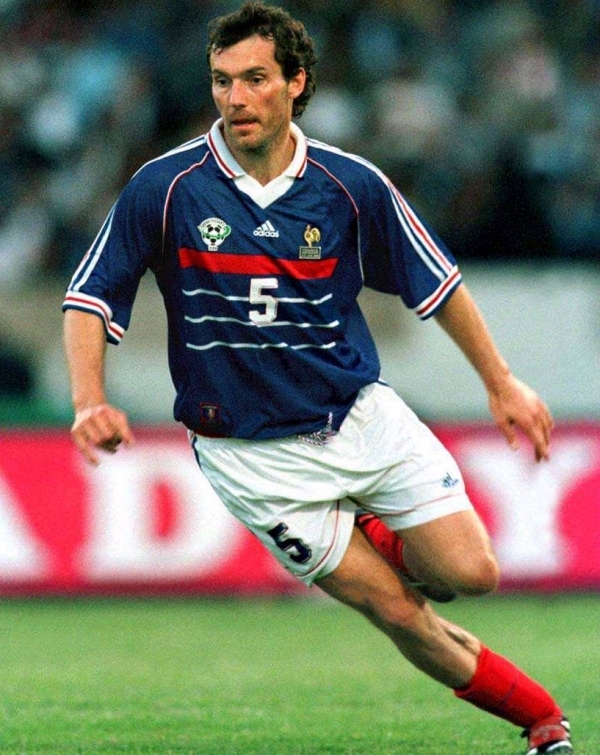 Nine matches were played at the Stade de France, Paris and seven matches at Paris Saint-Germain's Parc des Princes. Marseille (Stade Vélodrome) hosted 7, Lyon ( Stade de Gerland) 6 , Lens (Stade Félix-Bollaert ) 6 and Nantes (Stade de la Beaujoire), Toulouse (Stadium de Toulouse), Bordeaux (Parc Lescure) , Montpellier (Stade de la Mosson) and Saint-Etienne (Stade Geoffroy-Guichard) between them held 6 matches. The opening game was played between Brazil and Scotland but gallantly the Scots lost 2 -1. Footix, the rooster was the official mascot and was created to graphic designer Fabrice Pialot. 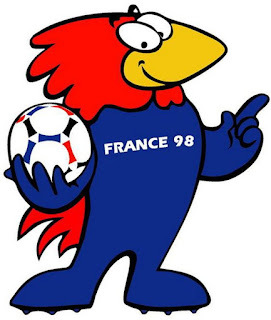 Footix had a blue jump suit, a red crest and with the words 'France 98' coloured in white. The 1998 FIFA World Cup TM had an official song called "The Cup of Life," ("La Copa de la Vida") which was recorded by Ricky Martin. In 1998 Nike released a commercial featuring the Brazilian team playing football in an airport. Roberto Carlos is seen hitting swerving shots through luggage containers and Ronaldo weaving his way through fellow passengers. 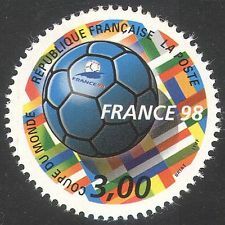 Many countries including some former French Protectorates, issued special stamps to celebrate the 1998 FIFA World Cup TM. 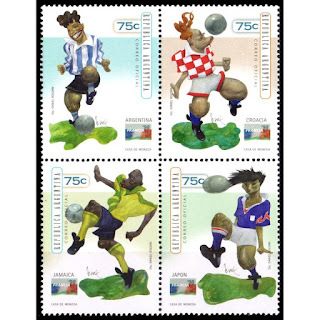 World Cup 98 was released by EA Sports for Microsoft Windows, PlayStation, Nintendo 64 and the Game Boy. Other video games, including International Superstar Soccer 98, World League Soccer 98, Actua Soccer 2 and Neo Geo Cup '98: The Road to the Victory were released in the buildup to the 1998 World Cup and evidently were based on the tournament. 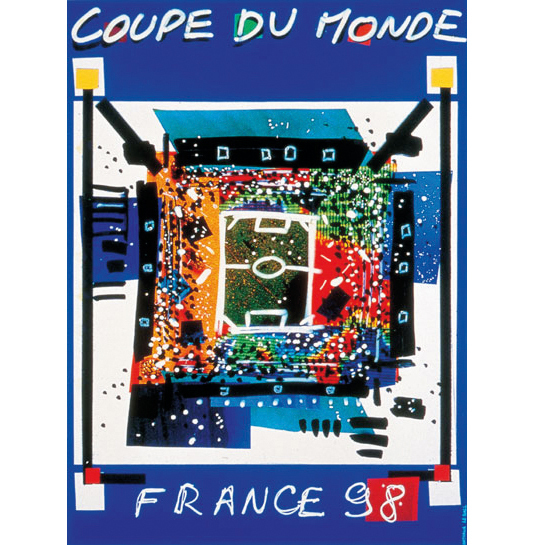 FIFA: Road to World Cup 98, also by EA Sports focused on the qualification stage. 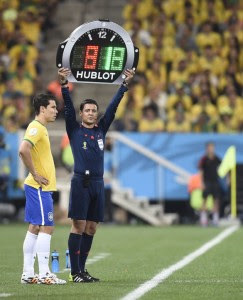 The 1998 FIFA World Cup TM marked the first time fourth officials used electronic boards for showing added time and substitutions. By 2014, the electronic boards were watch shaped and sponsored by a Swiss watch company whose name is almost as prominent as the relevant numbers. Each team's squad consisted of 22 players. The average age of all teams was 27 years, 8 months which was five months older than the previous tournament. 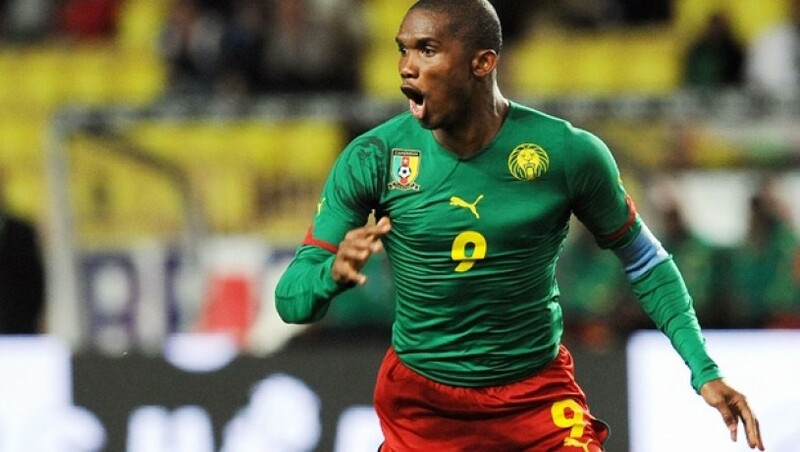 Samuel Eto'o (Cameroon) was the youngest player selected in the competition at 17 years, 3 months, while the oldest was Jim Leighton (Scotland) at 39 years, 11 months. In Group E, the Netherlands pipped Mexico on goal difference but both advanced with the same record. Germany and the Federal Republic of Yugoslavia topped Group F and Romania and England became Group G top finishers. Argentina and Croatia finished at the top of Group H.
The sixteen teams had four rounds of matches, with each round eliminating half of the teams entering that round leading to the quarter-finals, semi-finals, and the final. For each game in the knockout stage, any draw at 90 minutes was followed by 30 minutes of extra time; if scores were still level, there was a penalty shoot-out to determine who progressed to the next round. For the first time FIFA introduced the Golden goal i.e. when a team scores during extra time, that goal concluded the game. The first time this happened was during the knockout stage when France defeated Paraguay and Laurent Blanc netted the Golden Goal. 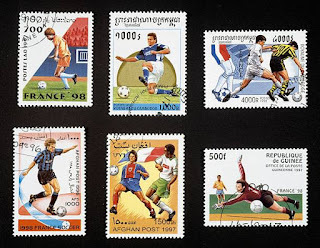 The Quarter Finals were played between Itally (3) and France (4) and Brazil (3) and Denmark (2) ; the Netherlands (2 ) and Argentina ( ) and Germany (0) and Croatia (3 ). 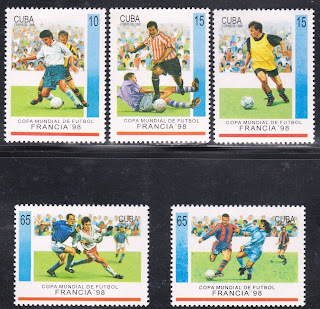 The Semi Finals saw Brazil (4) meet the Netherlands (2) ; and France (2 ) matched against Croatia (1). Brazil required penalties to get past Holland in their semi-final in front of 54,000 spectators. 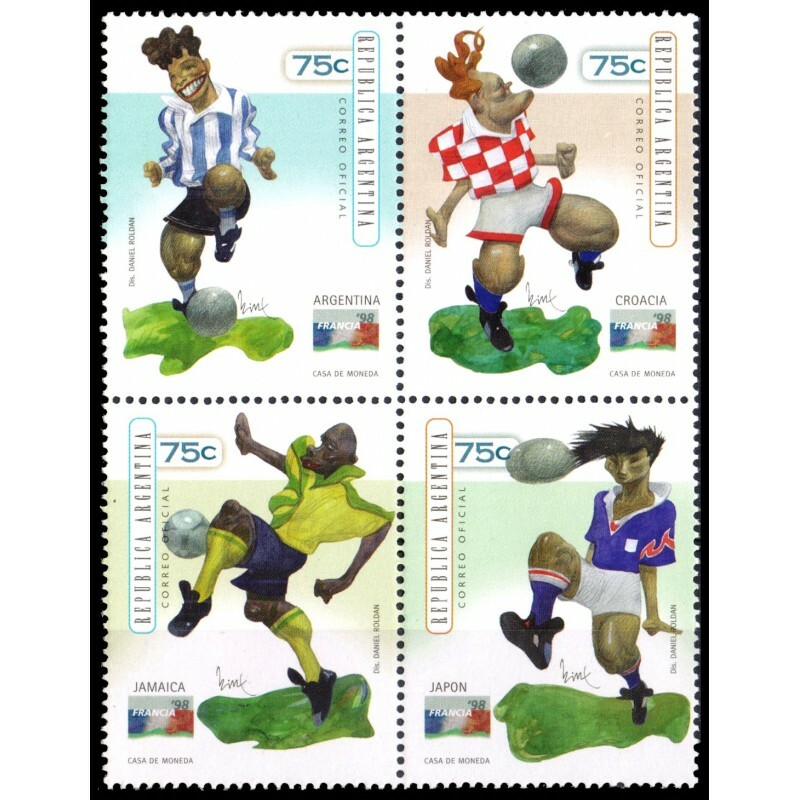 The semi-final between France and Croatia was tight but thrilling played in front of 76,000 specatators. 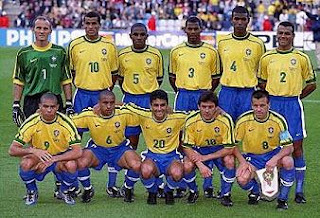 The final at the Stade de France, Saint-Denis was seen by 80,000 spectators, France defeated holders Brazil 3–0, with two goals from Zinedine Zidane and a stoppage time strike from Emmanuel Petit. The night before, Ronaldo was admitted to hospital after suffering a "convulsion." Initially the striker was left off the team-sheet and then reinstated 45 minutes before kick off when a hospital check-up gave him the all clear. He played, but was clearly not fit and France punished Brazil's spluttering performance with a simple 3-0 win, two goals coming from captain Zidane and one from Emmanuel Petit. While co-operating with the FBI and the Swiss authorities in 2014, Chuck Blazer, a FIFA Executive Committee member admitted to conspiring with other FIFA Executive Committee members to accept bribes in conjunction with the failed bid of Morocco and the successful bid of South Africa to become World Cup hosts in 1998 and 2010. Blazer stated "we facilitated bribes in conjunction with the selection of the host nation for the 1998 World Cup". Since France won the selection process it was initially thought the bribery came from its bid committee. It eventually transpired that the bribe payment was from the failed Moroccan bid.